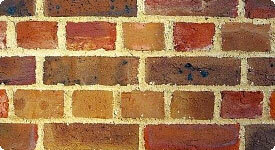 Timber Frames vs Masonry: Which Is Better? When it comes to building a new home, or even an home extension, there are lots of decisions to make and lots of conflicting information out there. One of the most common questions that we, as trusted Bolton builders, get asked is ‘should I build using a timber frame or masonry?’ Although house building with timber frames is actually the more traditional method over the last couple of centuries the predominant method of housebuilding in the UK has been using bricks (and/or blockwork) and mortar. But considering modern building methods, which should you choose? Have a look at our thoughts on some of the main points of contention between the two building methods below. Many people assume that as timber is a natural substance then it is the more environmentally friendly build choice. However first of all you need to assure that your timber is from a sustainable source and secondly what you really need to be thinking about is insulation. Timber is naturally a thermally insulating material, more so than masonry; however a traditional brick and blockwork wall that has an increased cavity size that has been filled with top quality insulation can now match the thermal properties of timber. It is often assumed that timber framed houses will cost more to build than those constructed from masonry, however this need not always be the case. Timber frames are usually made off site and then just erected and fitted together on site in between one and two weeks. This can mean that the extra cost of the frame itself may be offset by the savings in labour on site. Also you have to remember that the frame of the house is only part of the overall cost. Money can either be saved or spent on all of the other parts of the house which can in some cases make the cost difference negligible in the long term. It is often claimed that building a timber framed home can be as much as 30% quicker than building using masonry. This is mainly because so much of the work can be done off site. This means that from the time that the frame arrives on site to being a watertight structure can be up to 4 weeks earlier than the initial building stages of a brick ad blockwork house. However it is important to remember that the lead in times for timber frame manufacturers are much longer than the time it takes to simply get a load of bricks and blocks to site. To find out more about the building choices that you have for your dream home project, whether that be an entirely new build, smart extension, new kitchen, bathroom, loft conversion or even just getting all of those niggly little jobs seen to, then contact the friendly chaps atWisecraft Ltd.for a free, no obligation chat.